Perseverance. This is the first word that came to my mind after meeting the incredibly talented Marie Hazard in her atelier at the Central Saint Martins. Perseverance, because she gave me the feeling that nothing or no one could stop her from achieving her creative journey. She is not afraid to push doors or to trigger meetings with people she admires such as Sheila Hicks, which is an important quality for an emerging artists nowadays. 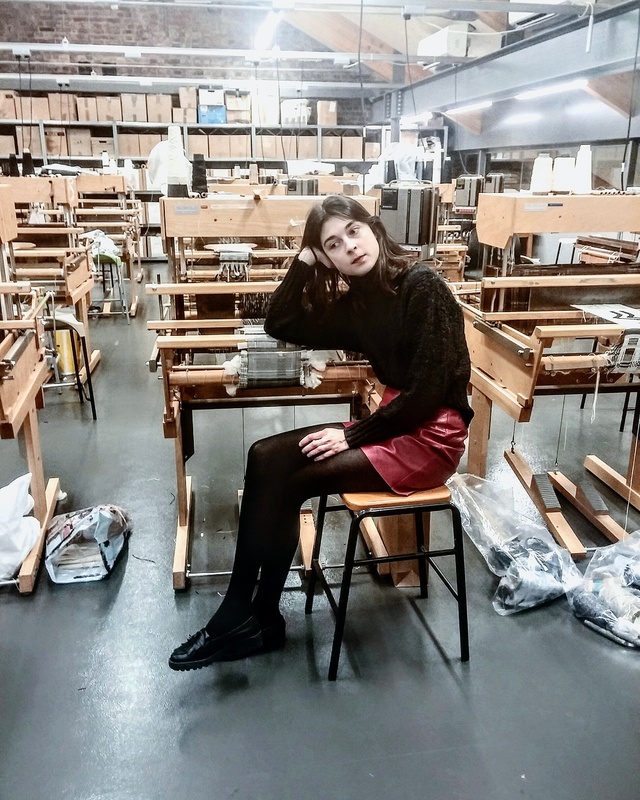 Originally from the Havre, she grew up in Paris where she attended the Atelier de Sèvres before moving to London to enter the prestigious Central Saint Martins. 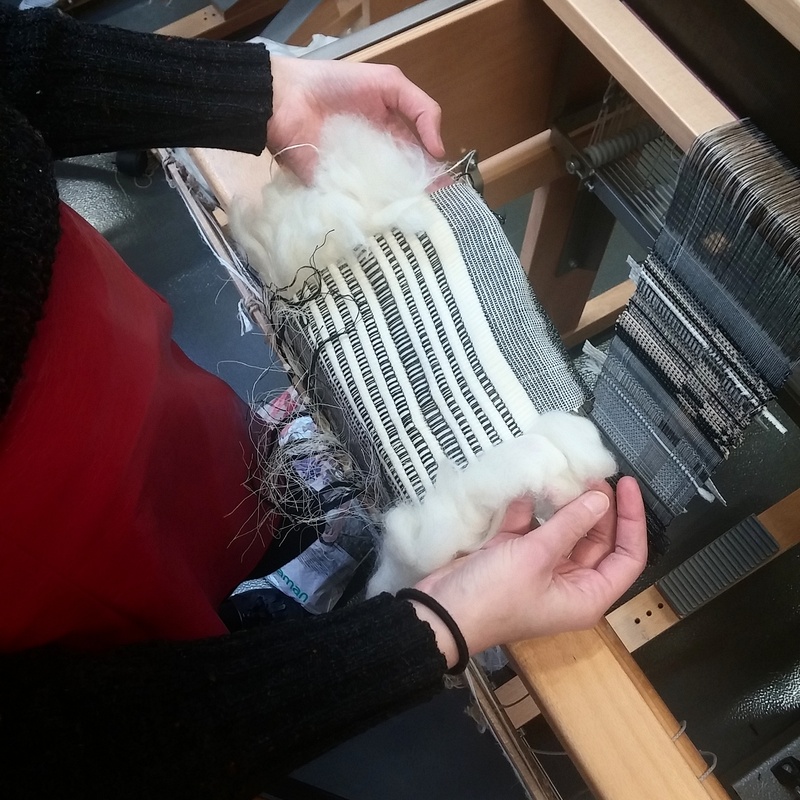 Unlike most of the students there, Marie’s plan was never to work into fashion or interior design but to learn the weaving technic as its finest to incorporate that into her art. Marie paints, weaves, takes pictures (only with disposable cameras), knits, write, sews, prints and draws. The gesture and the movement are an integral part of her work which is everything but flat and boring. 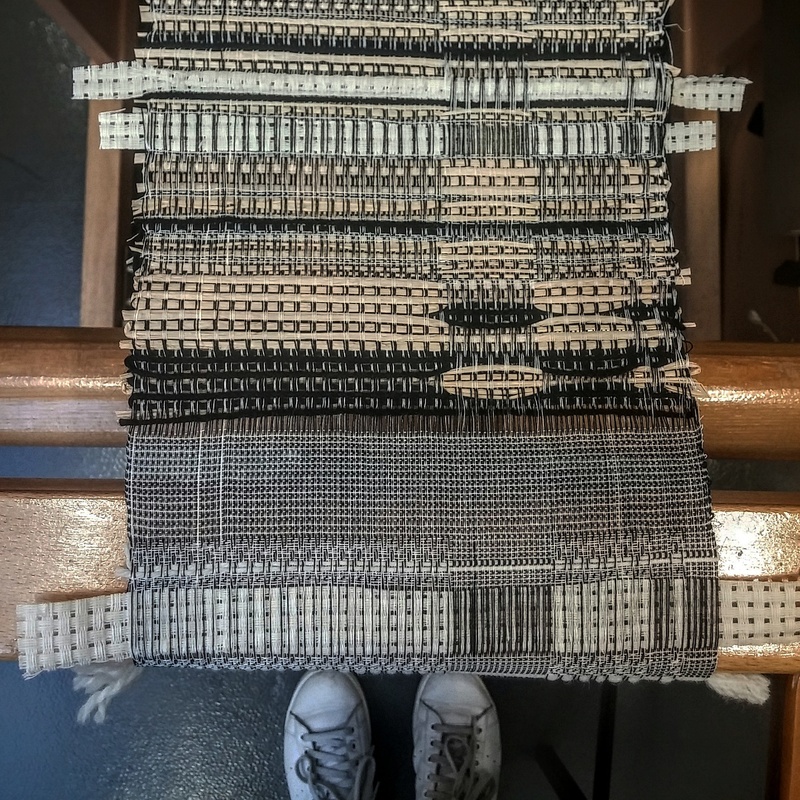 What I love about Marie’s weavings is their texture, the way she uses textile to create paintings and stories with different materials. 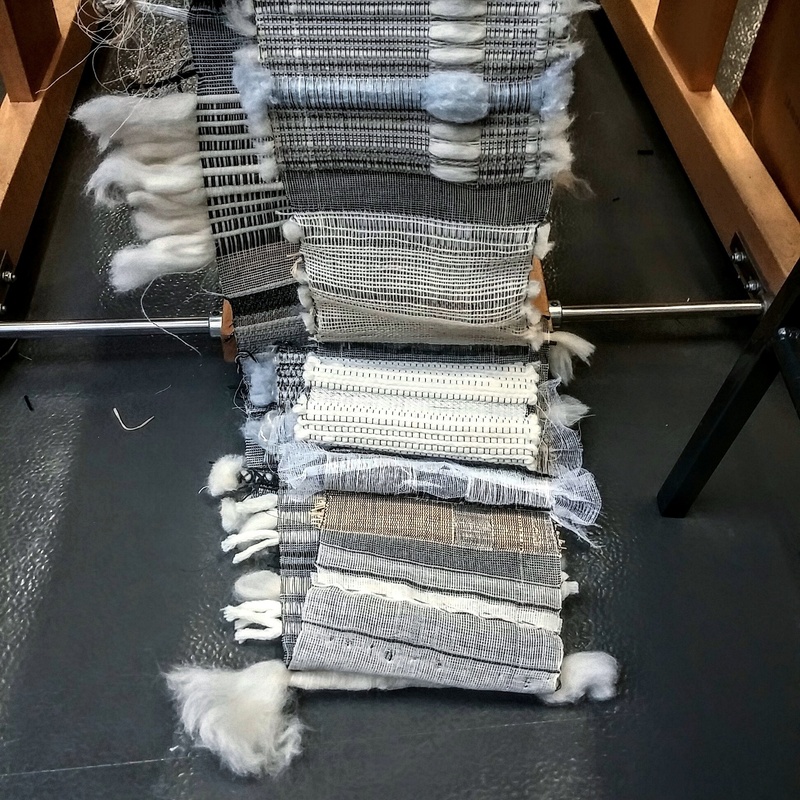 She has a unique contemporary approach to this ancestral technic, Marie leaves room for chance and unexpected in her work when others will plan each lines on their looms. She wants you to interact with her art, to touch it in order to read the whole story behind it, she told me that when she sell one of her work framed she wants people to be able to open it in order to have a contact with it as there is usually a double reading. 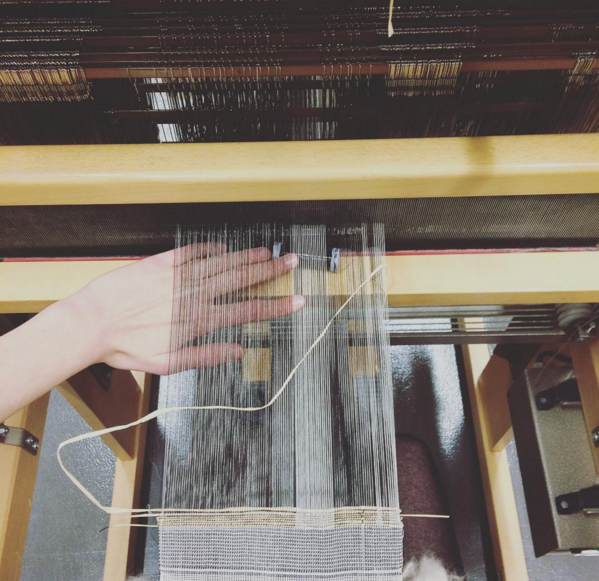 Weaving as a language, as a new way to express emotions. 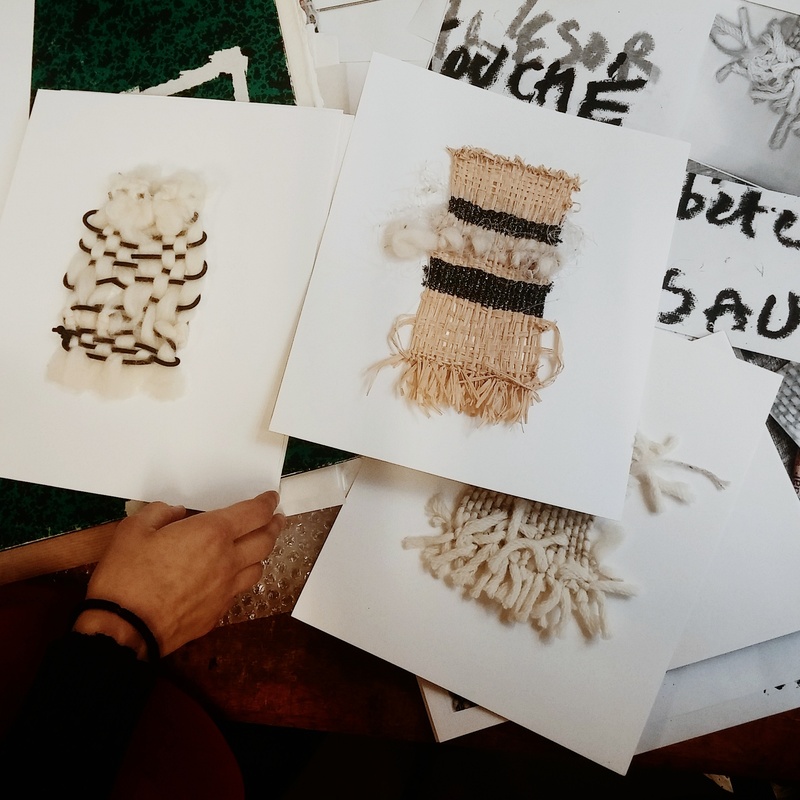 There is a lot of finesse and sensitivity into Marie’s art, but also something organic almost raw probably due to her choices of material (from soft cottons, to plastic, wool, wood, or tarlatan). 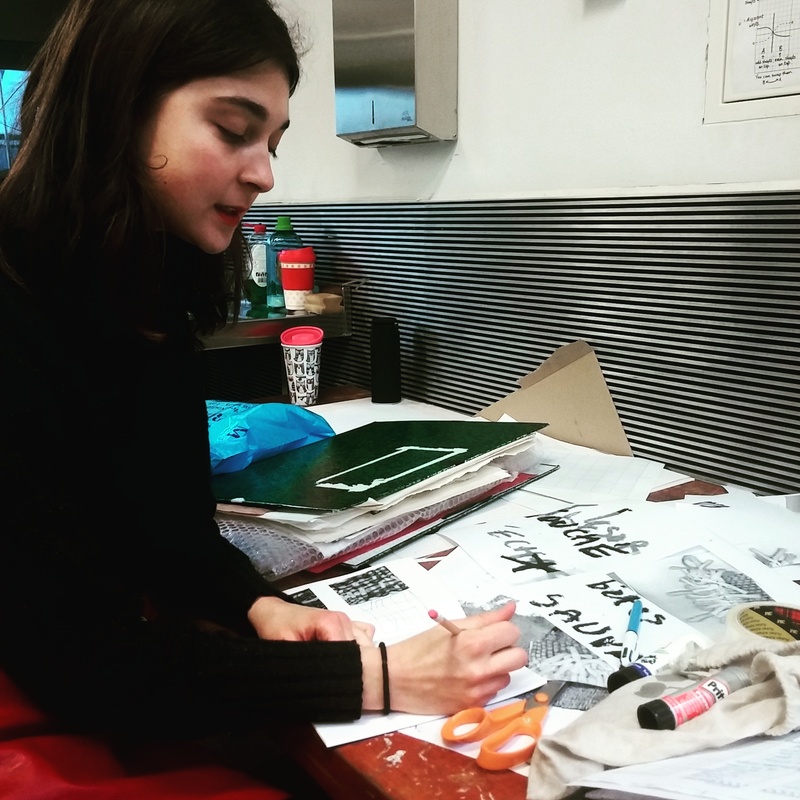 I also forgot to mention how much she loves reading, she likes incorporate some of her writing into her work which put her in a long tradition of artists using lettering into their art which remind me of Jean-Michel Basquiat, John Baldessari, and of course the Italian textile artist Alighiero Boetti. I really invite you to discover her work in the flesh at the Valérie Delaunay Gallery starting February 25th in Paris, or on Instagram. Don’t forget to join me on Instagram (@the_bubblist) and on Snapchat (@thebubblistarty) to have a look at my galleries/museums and artist studios visits. Thanks for sharing! I love her work, weaving should be more often associated to art. Totally agree, I’m obsessed with textile in art as there is so many different technics that can be used. I dream of Central Saint Martin’s since I was a young kid. After graduating I m planning to leave Singapore to try to get into this school. Congratulations on her work. Thanks for your message Li. It’s indeed a great school, a very inspiring place. I wish you luck. J’etudie à LA Cambre et cette école est un rêve. Marie a beaucoup de talent. Chapeau ! Oui je dois avouer que l’école en jette, faut tenter sa chance et j’ ai rencontré plusieurs étudiants qui sont passé par la Cambre avant de venir étudier à Londres. That is very sweet Louis, few people sent me similar message this week and I’m happy to see that my readers can feel my true love for art. Glad you like Marie’s work she is amazing.